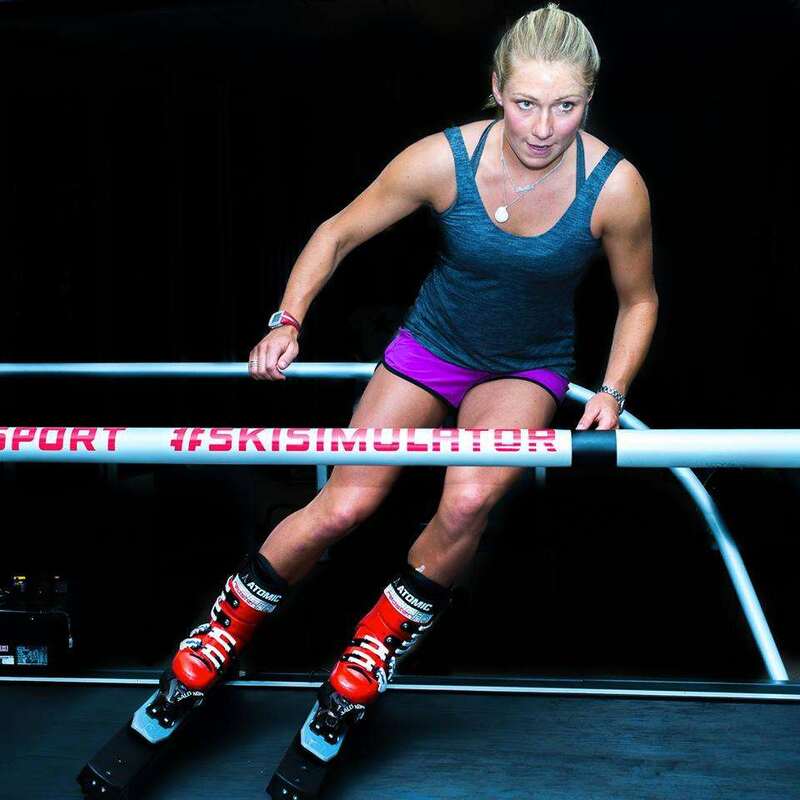 For serious Olympic ski and snowboard hopefuls, gym, or recreational hitters of the slopes with a ton of money, SkyTechSport has a Sick. Schtick. Their ski simulators provide a fully immersive VR experience that doesn't just accurately reproduce the sensation of flying down a mountain, but lets you jump onto actual Olympic tracks. Created by multiple projectors, and projected on a big ol' HD panoramic screen. 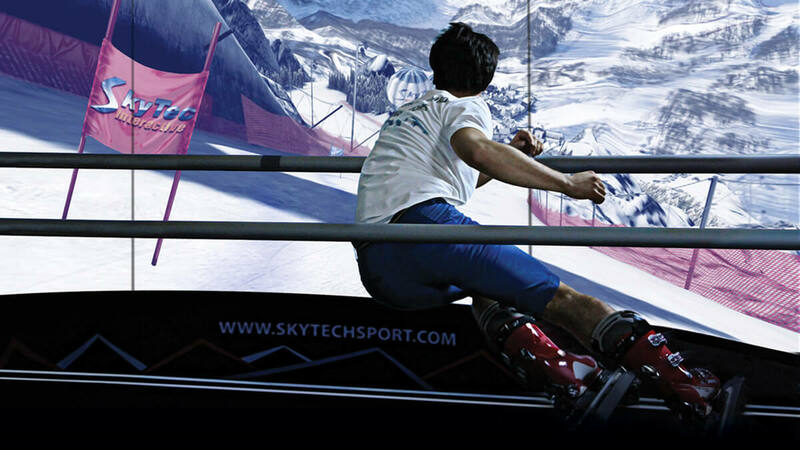 The SkyTechSport ski and snowboard simulators strap you into slats / skis or a single, thicker slat / snowboard with wheels that glide along a pair of slightly curved rails. 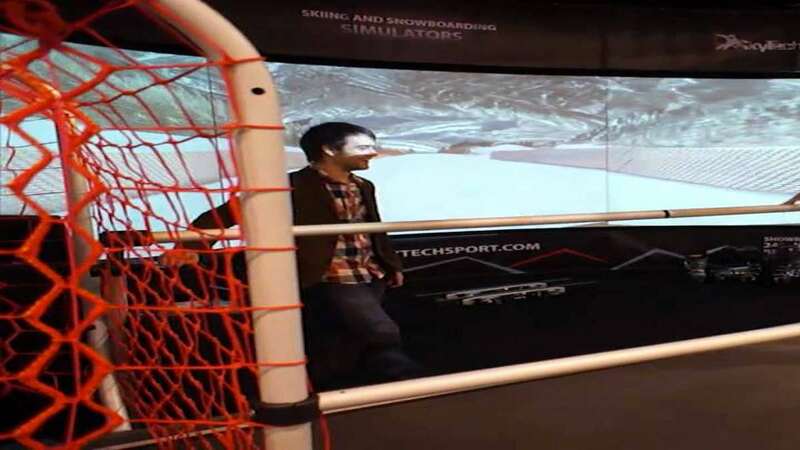 A handrail also runs the length of the machine at waist height in front of you, subbing in for ski poles, and providing a support to grab as you get your footing, if you take a wrong virtual turn, and sometimes just to help control your speed and the sensation of skiing in VR. 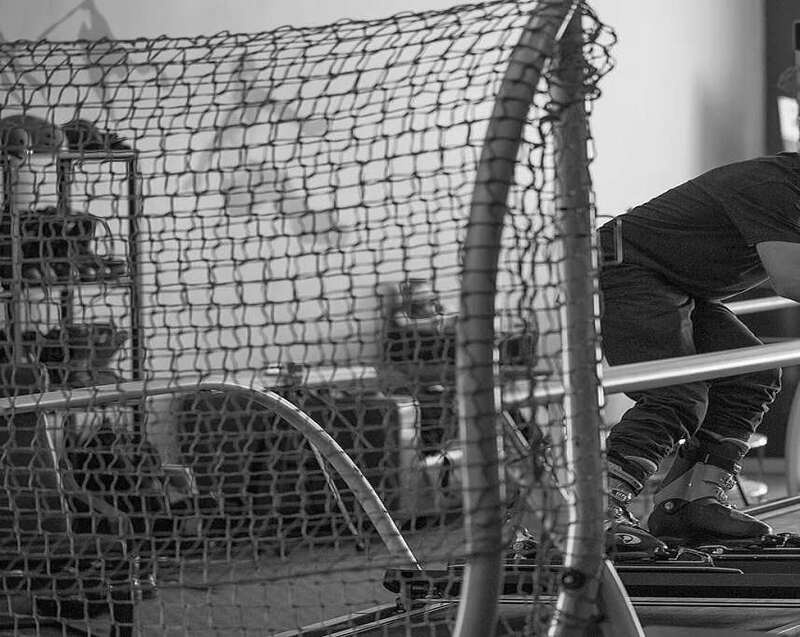 Once booted and locked in, you'll choose the speed and lateral distance you move as sensors track your position and edging angles on the projected slope, and "powerful motors" recreate the G-force you'd feel in the real face of gravity. You can ski endless slope or slalom, GS or downhill, plus adjust snow conditions, and add moguls and bumps. 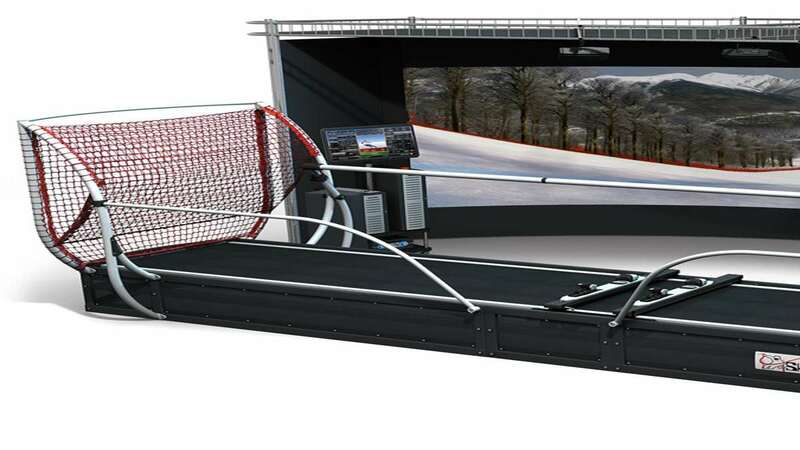 SkyTechSports has ski and snowboard simulators in standard Alpine, racing Downhill Pro, and UI 3.0 models. The latter is a user interface edition that comes with a screen for controlling the machine's motion platform, virtual reality screen, and touch screen. From there skiers and boarders can choose trails, change snow conditions, set up live races, and view their worldwide ranking. So You Want to Compete in the Winter Olympics?